People in Neath have been challenged to support their local independent shops as part of the Federation of Small Businesses’ Keep Trade Local Campaign. 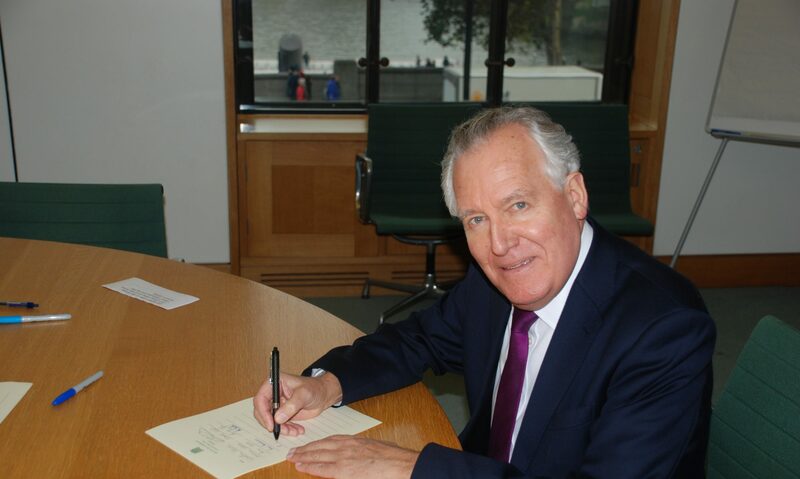 Neath MP Peter Hain showed his support for traders in the town centre as he visited local members of the FSB as part of the UK-wide campaign. Mr Hain visited Neath Music in Water Street, and spoke to proprietor Adrian Bamford, before heading on to florist Bella Fiori in Neath Market, where he chatted to owner Huw Jones. He later stopped for coffee at the town’s famous Castle Hotel where he spoke with proprietor Sally Rowlands. After visiting the traders he urged people to support the local businesses which define Neath’s character as a market town. ”We are lucky to have a good variety of independent shops in Neath, including those I have visited today,” he said. Mr Hain is among a number of politicians from all the major parties who are visiting local traders in communities across Wales this summer as part of events organised by the FSB. Traders in Neath are part of the FSB’S Swansea Bay Branch, which takes in Swansea, Neath and Port Talbot and has a membership of around 1700 small businesses.